We believe that providing custom logistic services means providing a one-stop shopping solution for each one of our clients. To consistently deliver these high-quality logistic services that cover everything from a to z, Gilis Opslag has entered into a long-term partnership with an external partner: G.E.L.S. 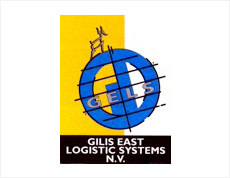 Gilis East Logistic Systems nv (G.E.L.S) is a sister company of Gilis Opslag nv. Whereas Gilis Opslag focuses on providing clients with suitable warehouse space, handling goods and providing administrative assistance, G.E.L.S will find the most suited international transport solution for you. G.E.L.S services include daily collection or delivery of goods (including ADR) grouped and/or in full containers throughout Europe, with the exception of the Benelux. In addition, G.E.L.S specialises in expedite services within the Commonwealth of Independent States and destinations outside the European Union, both for full and partial shipments and with the option of daily departures, depending on the availability of materials. G.E.L.S also organises express shipments and container traction, special projects and exceptional transport. Our business philosophy focuses on open communication towards clients. Our ISO 9001:2008 certification confirms this philosophy. The flexible, client-driven services we offer ensure that our clients always come first. We adjust the opening hours of our warehouses (8 a.m. – 5 p.m.) to the needs of our clients. In addition, we provide a shuttle service from your factory or plant to our warehouses, if required. Administration and customs documents can be completed on the spot. Our motivated team of warehouse staff are at your service at all times. The safety of your goods is guaranteed by the janitor who monitors the company premises day and night.